Having achieved 57% of votes from the electorate, Labour party candidate Sadiq Khan was handed the title of Mayor of London at the start of this month. 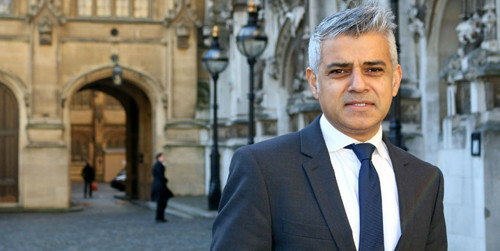 Though Khan was always the favourite to take over the role from Boris Johnson, his instantly-recognisable yet largely divisive predecessor, much attention has been paid to his thoughts on London’s housing crisis, and the way in which he plans to tackle issues with demand and affordability for homeowners and tenants in the region. Here, we’ll discuss the key pledges from Khan’s housing manifesto, and what his policies could potentially mean for those living, working and investing in the capital. There’s been much debate as to how many new homes need to be built in and around London every year in order to satisfy demand. The Greater London Authority estimates that the city will need between 49,000 and 62,000 new properties every twelve months if it’s to house its ever-growing population; Savills, however, put the figure even higher at approximately 64,000. Khan’s aim is to build 80,000 new units annually – a goal considered virtually impossible by most political commentators. As Johnson found out during his eight-year term as mayor, there are plenty of obstacles facing those keen to develop in London, including a shortage of skilled construction workers, the rising costs of labour and raw materials, and the reams of red-tape to contend with at every stage of the development process. Johnson was only able to introduce 26,860 homes to the local market in 2014/2015, so even if Khan’s strategy of better utilising public land and developing on brownfield sites gains some traction, his target will still remain highly ambitious. Khan plans to ensure that 50% of all homes built in London will be considered affordable for those on average incomes. Ken Livingstone, who served as major between 2000 and 2008, also worked towards this figure, but failed to meet his own targets in the majority of boroughs during his term, so whether Khan will be able to deliver on his promise will remain to be seen. Perhaps one of Khan’s more interesting pledges involves ensuring that a set proportion of all homes in London are available to domestic buyers before they are opened up to international investors. To achieve this, the major will need to amend the Housing Bill. The move will seek to target aid first-time buyers as they enter the property market, and will simultaneously ensure that a limited number of properties can be sold more than six months before the development is complete. While this may signal great news for those eager to live in the city, there is concern that supply may be negatively affected if developers cannot raise the capital to start projects by pre-selling units. Brave intentions, then, from a new mayor who has much to prove. Time will tell whether or not Khan will meet his housing targets in the coming years, but in the short-term, investors are still likely to see prices of property in the capital increase as the housing market remains under-served.